My secrets include both a familial and personal history of mental illness. As a child growing up in the 1950s I was unaware that my father had a mental disorder. He was a man who provided well for his wife and three children. He ran a successful business, played poker with his buddies on Wednesday nights, and gardened on Sundays. Yet it was never explained to me why he would act strangely from time to time, and “disappeared.” His diagnosis was called manic depression, now known as biopolar disorder, and a family secret. Why did my family act this way? No doubt they suffered from shame, embarrassment, and guilt. Their silence was an attempt to protect me, but unfortunately it didn’t work. Since no one told me what was wrong, I kept my feelings bottled inside. My body responded to the stress and anxiety with daily headaches. My family thought to have my eyes tested, but they neglected to explore my feelings. Not that that would’ve helped. It was the 1950s, after all, and I would have just kept smiling — a healthy girl in a happy home. The common denominators in my situation? Denial and ignorance. If we don’t think there’s a problem, or we’re not educated about an issue, then we can pretend it doesn’t exist. Add to that the stigma surrounding something as charged as mental illness, and you have a situation where everyone stays stuck. For me, that stigma would follow me into my adult life. I got pregnant before marriage and she was adopted. Only our parents knew the truth. Another secret, and more shame, guilt and silence. After we married and had two more children together. It was a bitter irony that for 25 years I was an expert in emotional support for new families, not revealing the story behind my passion of helping others. But secrets take their toil, and eventually I had to seek the professional interventions I needed to treat my own depression. It was during this search to figure out the root causes of my depression that we were reunited with our first born. I started to see that seeking help requires support from all sectors of our society. As a result of my own experiences, my friends and I started Postpartum Education for Parents in Santa Barbara in 1977. 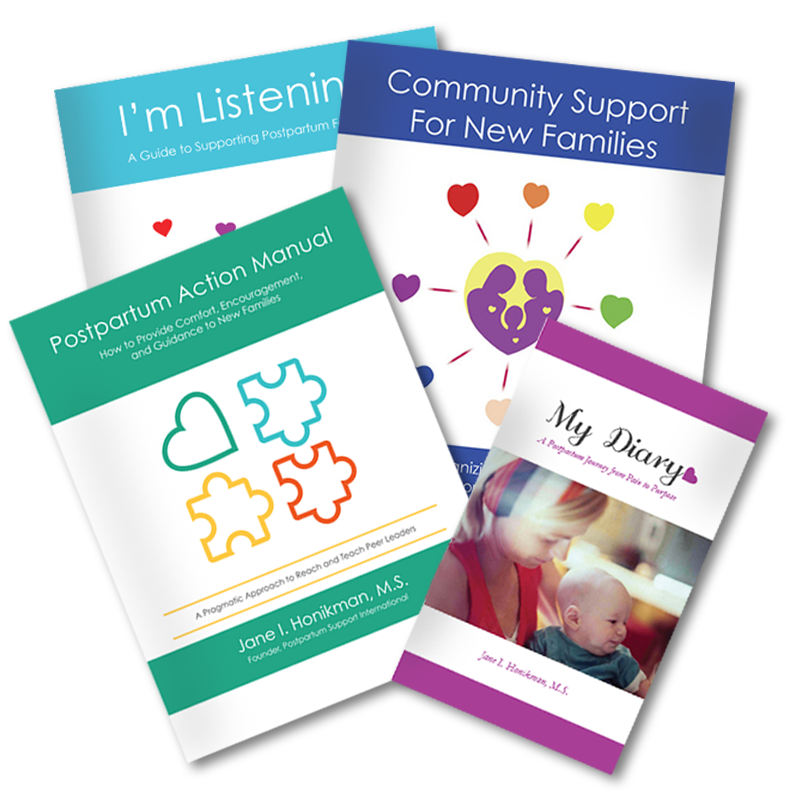 A decade later, I launched Postpartum Support International. Both groups focus on wellness during childbearing that is achieved through awareness, education, and advocacy. I agree wholeheartedly, which is why I’m so proud of the work that CBB’s Mental Health Initiative is doing to encourage education and to help reduce stigma. We invite you to help us in ending silences and secrets, and to speak up for mental wellness.